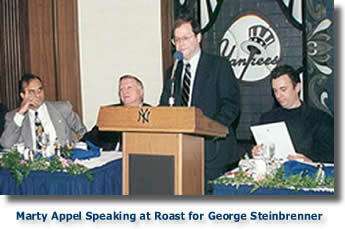 Marty Appel is a frequent guest speaker and moderator at baseball gatherings. 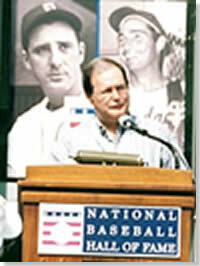 A noted Yankees historian and author of 16 books, his audiences have ranged from Little League groups to gatherings of several thousand banquet attendees. 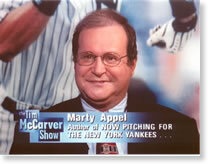 And his book, “Now Pitching for the Yankees,” an autobiographical tale of his Yankee adventures, was named the best New York baseball book of 2001 by ESPN.